This is a great little decal to have in a kitchen or dining room. 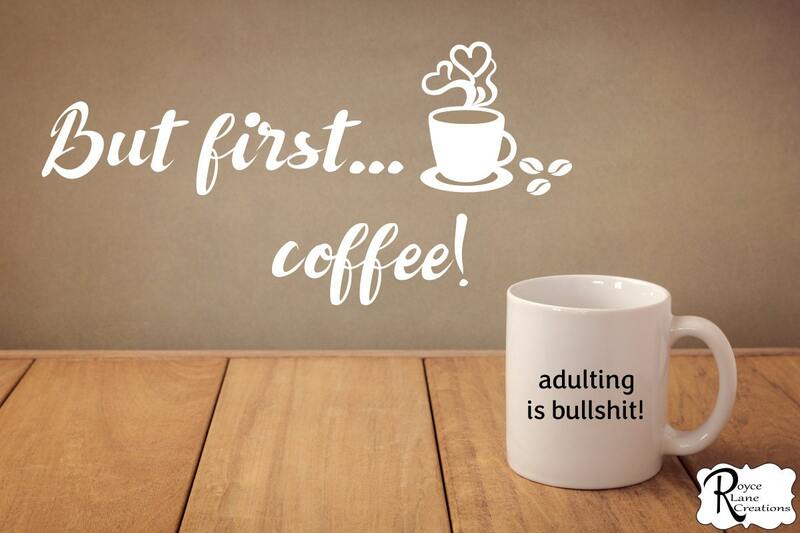 It is a new spin on a very popular coffee quote. Many sizes and colors available! See all the options to the right-hand side in the drop down menus. If you need a size other than what is offered just message me! This was exactly what I was looking for. It was easy to apply and very durable. Adorable! It adds some pizzazz to my boring old kitchen!